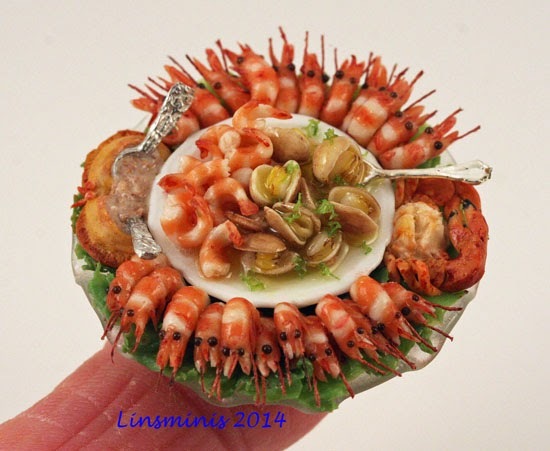 Un realismo fantástico, me encantan las gambas. These are amazing. Fabulous detail. 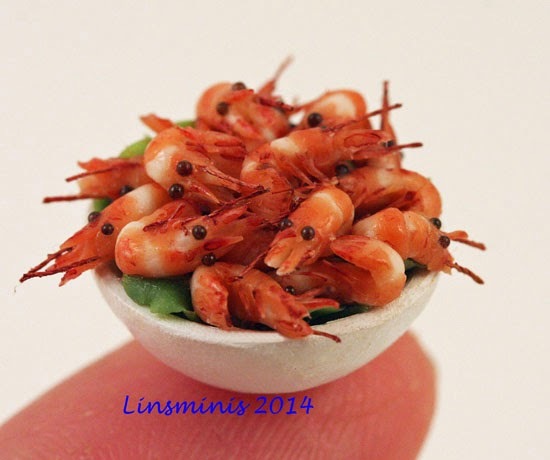 These shrimp are whetting my appetite! But what minute and tedious work this must have been for you but you are right, the end results were worth it; they're Magnificent!